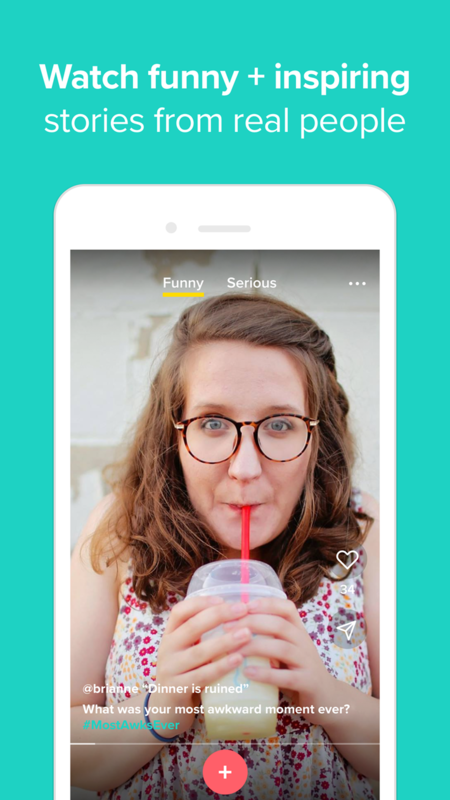 Moving beyond written stories, Wattpad’s Raccoon video storytelling app encourages storytelling in the context of selfie-video, close to the hearts of YouTube fans. At last weekend’s Writer’s Digest Annual Conference in New York, two 40-something authors were overheard between sessions talking about Toronto-based Wattpad. They’d just attended a session in which the service was discussed. “I just found out Wattpad has a lot of millennial readers,” one said. Such is the peculiar, almost cult-like progress of the world’s largest reading and writing platform. Wattpad’s massive reach has grown even larger in its deals with major traditional publishers such as Hachette in France. 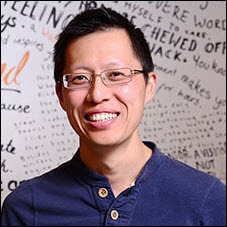 Wattpad co-founder (with Allen Lau) Ivan Yuen tells us, “Raccoon’s focus is to deliver real stories from real people, and it’s a critical step forward in realizing Wattpad’s vision to connect and entertain the world through stories. 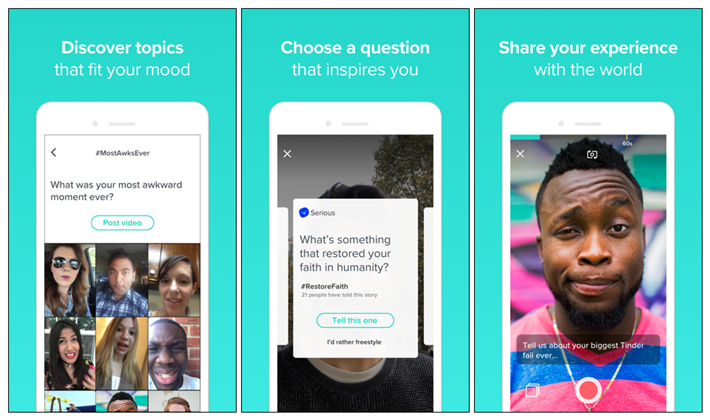 Raccoon is expected to be adding themes and prompts that users can deploy to enhance and embellish the stories they create in and about their own lives and worlds. In that last category, personal challenges, we see another interesting potential convergence in the offing. 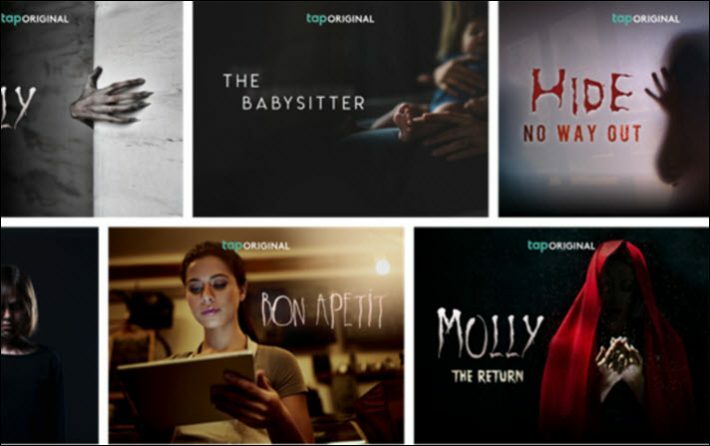 Many Wattpad fans are also major consumers of YouTube, and the typical YouTube star is a popular performer of what amounts to selfie videos—exactly the medium that Wattpad is asking its users to incorporate into their own storytelling with Raccoon. Expect the Wattpad-YouTube axis to heat up quickly. Unlike our wide-eyed authors at the conference, Publishing Perspectives readers know a great deal about Wattpad. At the moment, Wattpad spokespeople say they have no plan to attach a paid subscription to Raccoon, which is a departure from the model for their next-to-newest feature, Tap. Today’s US rollout of Raccoon follows the late-July activation of Wattpad’s Tap Originals, the enhanced chat-fiction functionality that lets users incorporate audio, photos, video, voice notes, and alternative ending options into their stories. The initial Tap app from Wattpad was released in February, and it vies in the App Store with such services as Hooked and Yarn. Tap Originals are available in 10 or more languages. And Tap has an optional subscription model attached to it, the latest move in Wattpad’s gradual build up of revenue streams. A spokesperson for the company gives us a quick explanation of out the Tap subscription options work. Each user has a certain amount of taps loaded onto their account. You tap to get a new installment of a texted story. Once your account’s taps are used up, you need to reload them. Taps are reloaded after a certain period of time passes, or if the user purchases a subscription to Tap Premium. So Tap Premium is the way to get your story’s next increments without waiting. By subscribing to Tap Premium, users receive unlimited taps to power through their stories without interruption. If you find it tricky to keep up with the accelerating arrival of new wrinkles in Wattpad’s offering, keep in mind that the core concept has to do with closing the gap between creator and observer–between writer and reader. What these new apps–Tap and Raccoon–are doing is capitalizing on what Wattpad’s creators at WP Technology Inc. in Toronto have learned over the years: access is the key. Readers of all ages, not just millennials, are using various social media to communicate with authors, entertainers, composers, choreographers, sculptors, designers, you name it, in ways they could never do in the past. What the platform’s first decade confirmed was that letting readers interact with their favorite writers meant that a lucrative bond could be nurtured between maker and consumer. And now that Wattpadders can get their paws on Raccoon, those phones have just become an even smarter way for publishers to think about reaching readers. Wattpad’s Ashleigh Gardner and Hachette Romans’ Cécile Terouanne will be in conversation with Publishing Perspectives at Frankfurt Book Fair’s Business Club on how publishers can work with the platform. The session is at 2 p.m. on Thursday, October 12. More information is here, and remember that Buchmesse’s Business Club 20-percent discount ends on Thursday, August 31, hurry.